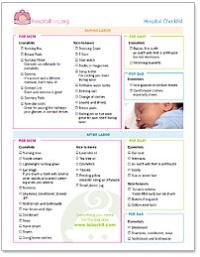 Here is our free list of things to pack in your hospital bag when going to the hospital to have a baby. When you go into the hospital to have a baby, you’ll want to be prepared. A big part of being prepared is having your hospital bag packed with everything you need in it. Below we’ve complied a list of just about everything you might want/need. If you see something we’ve missed, let us know. We’ll add it so that everyone can benefit from it. We recommend that you pack your hospital bag by the end of your second trimester. Although this may seem early, its better safe than sorry and you never know if you’ll go early. 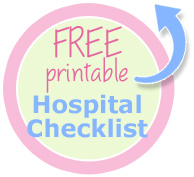 Download our comprehensive list of items to pack in your hospital bag. It's a once and a lifetime moment, don't miss it!